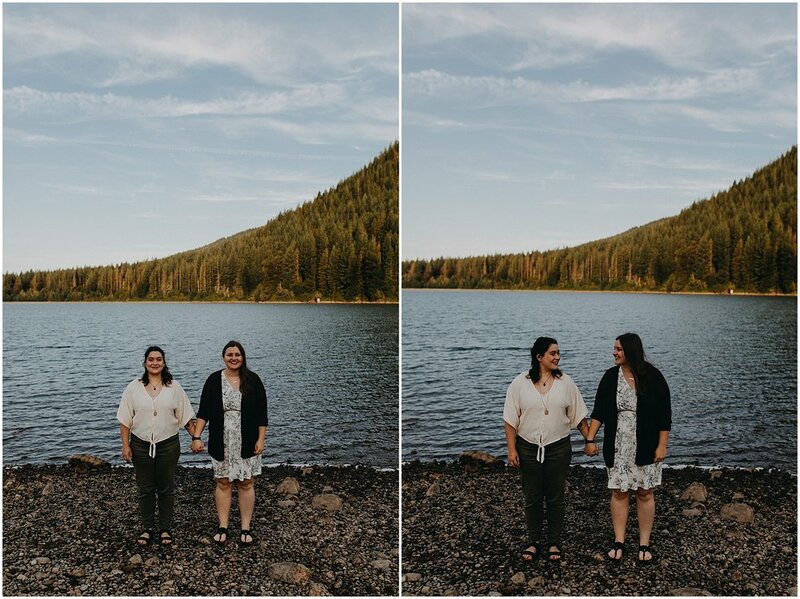 When I suggested to Rachel & Kelsey that we do a sunrise shoot at Rattlesnake Lake for their engagement session, there was some reluctance. 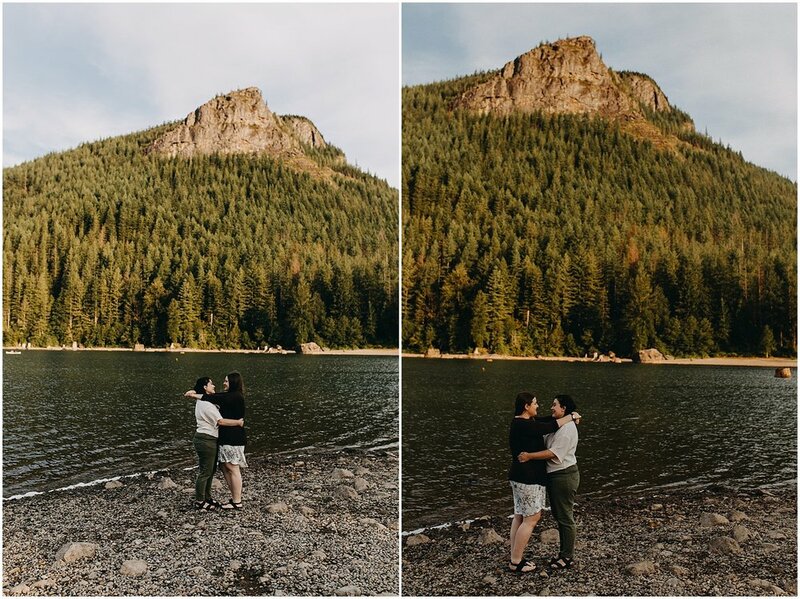 They both admitted they were not morning people and with the Lake being an hour drive away from Seattle they knew they’d have to get up early. 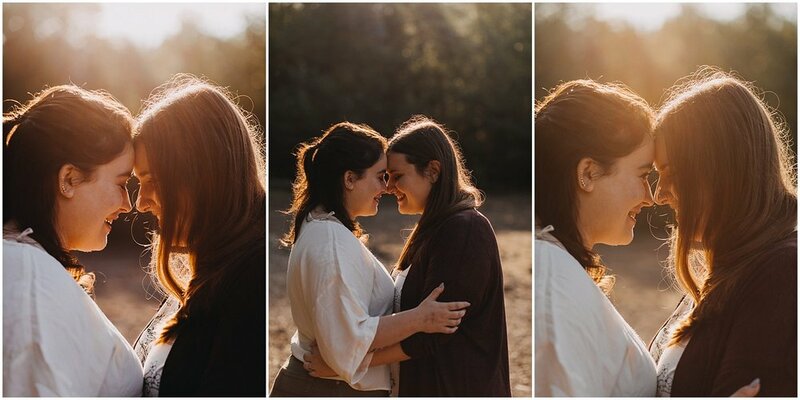 But when they arrived and both said “wow” at the location and how it looked in the soft morning light, they knew they’d made the right choice. 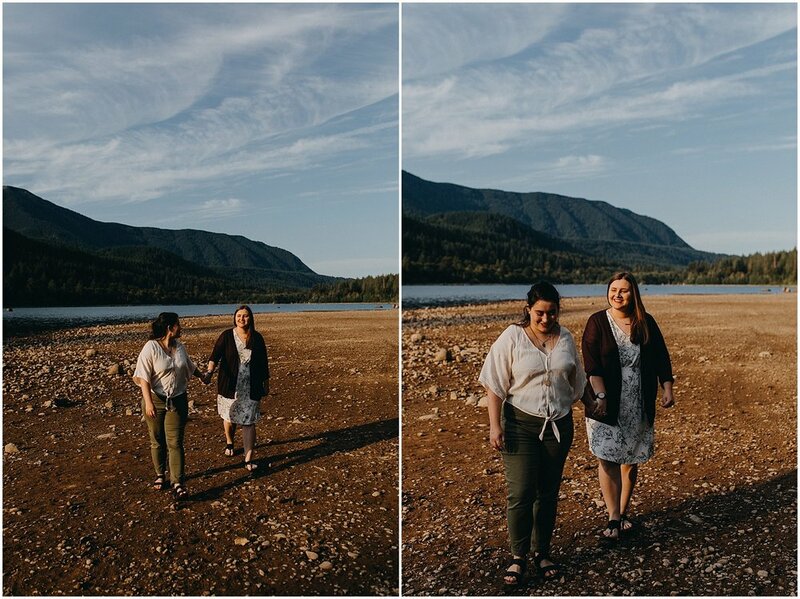 It was a perfect summer morning with just a hint of Fall in the air and apart from a couple other humans we were completely alone at the lake. 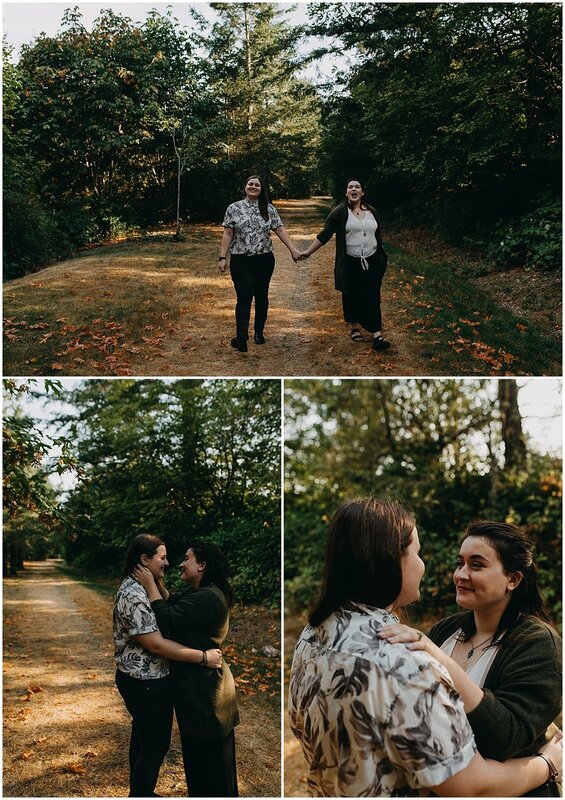 We wandered around for a bit and Rachel & Kelsey told me about their relationship, their goals and how excited they were for their wedding day in October. 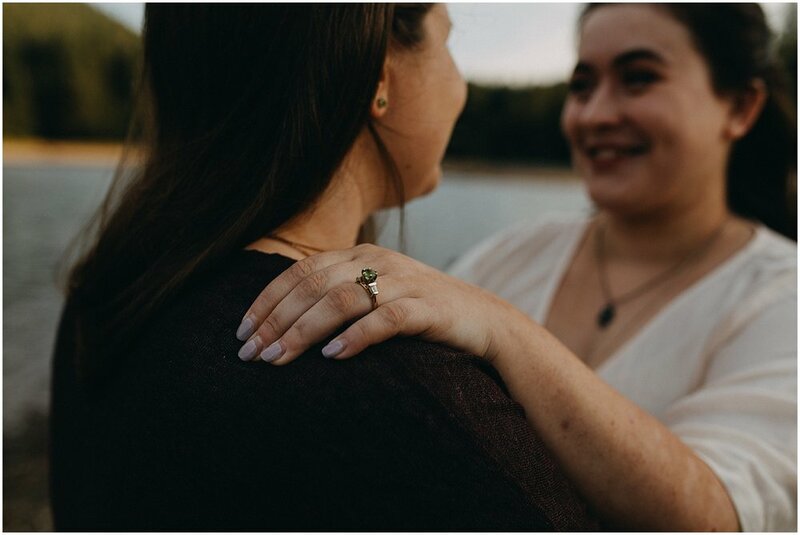 I can’t believe it’s come around so quickly!